St Laurence School has two main means of communicating news about school life with Parents, Carers and other members of the school and local community. 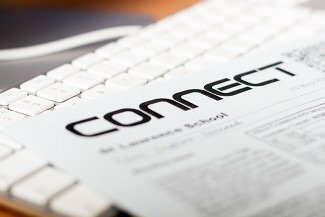 Connect is a termly, online publication which aims to celebrate the successes and achievements of the whole school community, as well as imparting information about forthcoming events. Connect is magazine-style in format and design and is produced collaboratively between staff and students through an after-school club. The Parent Carer Bulletin is a separate, weekly publication designed to keep parents, carers and students updated with all the latest notices and key dates relating to school life.